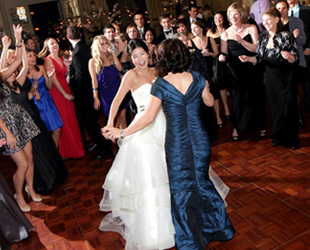 Darcy’s wedding at the Fairmont Olympic Hotel was the most fun day of her life. Yours’ should be too! 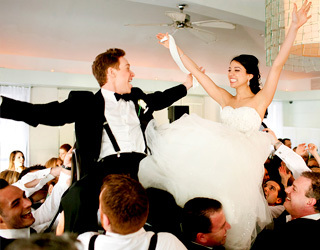 Creating the Wedding of your Dreams …fun, entertaining, memorable! When it comes to weddings, there’s something magical about the music! It sets the tone for the entire affair… that grand entrance, that first dance, that first kiss. 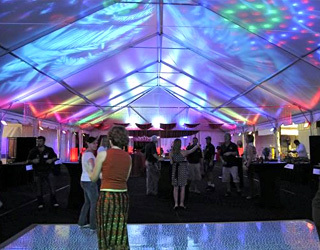 Our team of experts will make sure that your event is flawless by creating the perfect music mix, atmosphere, uplighting, and activities you desire. 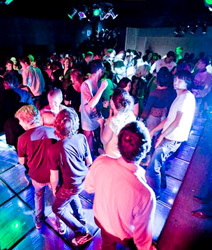 Our DJs set the mood and ensure that your guests have a great time. They’ll keep everyone entertained and dancing the night away. Whether it's mixing a fresh beat or creating the right progression of classic hits, our Seattle DJs are experts at creating fun. We have the Northwest’s best Seattle Wedding DJs, all exclusive to Sounds Unlimited, with experience, skill, personality, and professionalism that is unparalleled in the industry. We match the perfect DJ to you based on your musical taste and style! 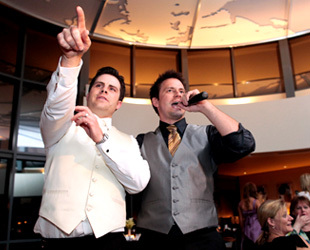 Our Seattle Wedding DJ service is the top-award winning DJ Company in the Northwest, having won more awards for its commitment to brides and grooms than any other Washington DJ service. Weddings are our passion and we love to make each reception unique and special for the newlyweds. For our wedding DJs, it’s all about the flow and the music. Weddings are unique and the formalities and announcements are most often an essential part – and what separates a wedding from all other events! 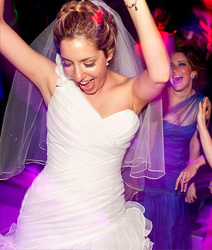 A truly gifted wedding DJ must be more than just a DJ (even a skilled club DJ) who simply plays good music. With any celebration, music is always an important element but with a wedding the announcements, the timing and flow are critical to make this special day unforgettable for you and your guests. 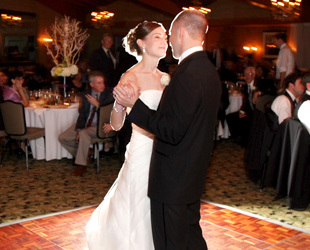 Sound Unlimited specializes in weddings and you can count on our wedding DJ making yours all that you’ve dreamed. She’s not worried about the music, she’s lost in the moment of her first dance with her new husband. Whether it’s a school dance, corporate party, holiday bash, team building, or other private event, Seattle DJ Service’s trusted professional DJs will make your event unforgettable! If you have any special songs you want to include, use our online music guide and event planner to create the ideal list of music, and plan all the important activities. 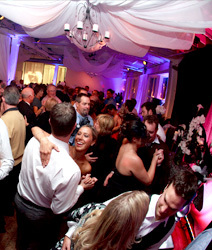 At your event, our DJ will make sure to include your requests and keep everything personalized to your tastes. Our DJ’s keep the party going all night! When it comes to putting on a great party, we’ve got the talent! 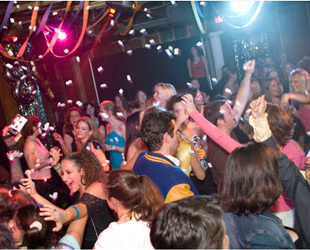 Our Seattle Party DJs are a special group of talented party experts. We not only have the polish and finesse of Seattle’s best wedding DJs and wedding MCs, but our Party DJs are Seattle’s best kept secret. Sounds Unlimited Party DJs are expert at reading the crowd, mixing the music, and throwing down some great tunes. Party DJs say it’s all about being able to make a great party and Seattle is the best place in the world to do that! 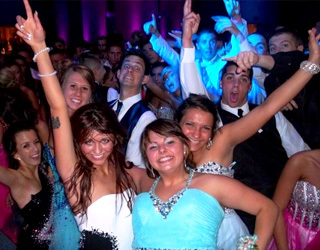 incredibly popular throughout the Northwest and Washington School DJ scene.